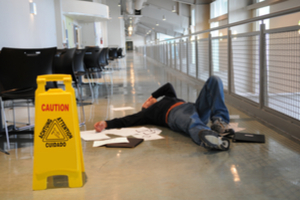 A slip and fall is no joke, even if such an incident may cause more embarrassment than injury. The promise of reasonable safety is inherent when walking into a hotel or restaurant that you’re looking to spend your time in. What happens when that promise is broken? Who do you turn to? It is important that after your injury you turn your efforts in finding the best slip and fall lawyer in Miami that will not only take your case seriously but fight for you to the best of their ability. At Wolfson Law Firm, we have Surfside Slip and Fall Attorneys who are more than willing to hear your case. Their decades of experience, and their understanding legal team will be professional when you come to them for help. They are ready at (305) 285-1115 to provide you with a confidential and free consultation. It is important to understand if you have a case or not. Only attorneys and legal teams with decades of experience have the knowledge to truly tell you if the case is worth pursuing. Our legal team will inform you if the case you’ve put forward is likely to end without compensation. Your time is valuable and paying costs over something that in the end will not benefit you is unnecessary. A consultation is not only free, but beneficial in finding out what your next step is after a slip and fall. All these places promise reasonable safety, as well they should. They have families and couples passing their doors every day and night, and every one of them is an important customer. That promise of safety can be broken not only by action, but inaction. Not fixing faulty stairs, sealing cracked pavement, cleaning spills, or even doing something as simple as putting a wet floor sign down is a broken promise. Jonah Wolfson and his legal team are more than ready to take your call, if you’ve been hurt in Surfside or any other area in Miami-Dade, then do not hesitate to pick up the phone. Mr. Wolfson is a bilingual personal injury and wrongful death attorney. He’s available personally to answer any questions you may have, in English or en Español, if you call now at (305) 285-1115.